President Karen Haynes, the most senior president in the CSU system, opened the 2016-17 academic year with her 13th CSUSM Convocation address on Thursday, Aug. 25. Speaking to hundreds of CSUSM faculty and staff members, she highlighted recent University achievements and set the tone for the new school year. Ticket information for Cougars athletics is available at csusmcougars.com/tickets. The annual Weeks of Welcome started Aug. 26 and runs through Sept. 10. There are more than 30 events scheduled to welcome students back to campus. Weeks of Welcome events are free and open to all CSUSM students. Visit csusm.edu/sll/onsp/weeksofwelc.html for a complete schedule. CSUSM officially launched its historic fundraising campaign, Forward Together, in September 2015. The University has raised more than $30 million, putting it more than 60 percent of the way to its goal of $50 million by the end of 2018. Visit csusm.edu/giving/forward-together/ for more information on the campaign. With U.S. Election Day 2016 approaching, CSUSM’s website has resources for faculty, staff and students interested in becoming more engaged in the process. The site includes a calendar of on-campus election events, links to election resources and information on registering to vote. Visit http://www.csusm.edu/election2016/ for more information. · In July, CSUSM received the final decision from the Western Association of Schools and Colleges Senior College University Commission that it has been reaccredited for a term of 10 years – the maximum length of time that can be awarded. · Diverse: Issues in Higher Education magazine announced that CSUSM is a “Top 100” university for graduating minorities in 10 different disciplines. 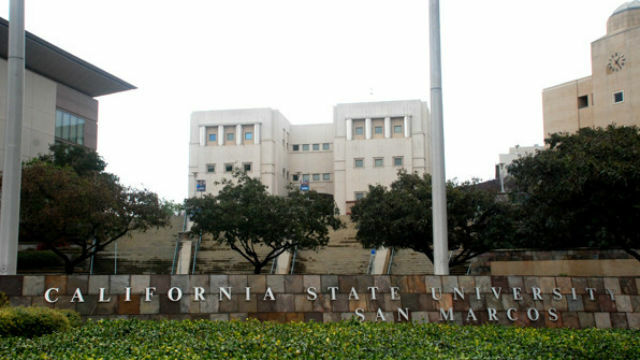 · CSUSM’s Office of Graduate Studies and Research reported that the University received more than $9.2 million in grant and contract funding this past fiscal year — a 15 percent jump over the prior year. There also was a nearly 40 percent increase in the number of grant proposals submitted compared to last year — up from $27 million to $43 million.